The EU-SysFlex project will test a high level of integration of renewable energy sources in the pan-European electricity system. 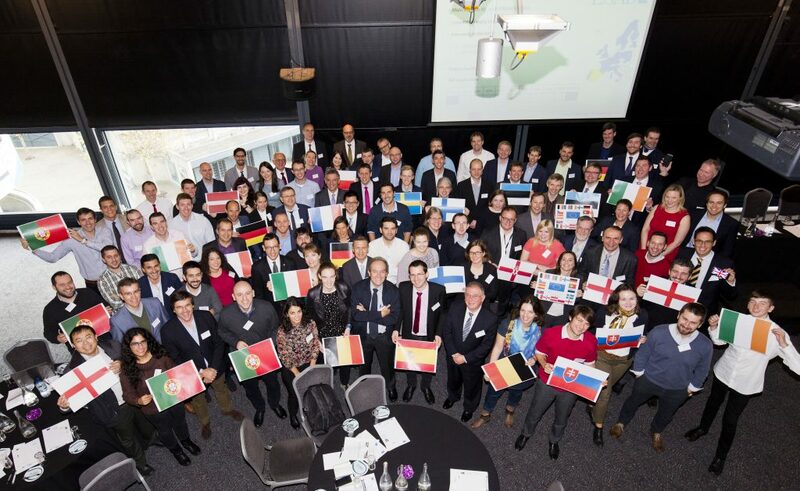 The aim of the EU-SysFlex project is to identify issues and solutions associated with integrating large-scale renewable energy and create a plan to provide practical assistance to power system operators across Europe. This should ultimately lead to identification of a long-term roadmap to facilitate the large-scale integration of renewable energy across Europe. The EU-SysFlex project activities will through innovative processes bring new solutions to the market: from the development of new approaches for system operation with high renewables, to market design and regulatory requirements, as well as integration of new system services and data management plans to cover the pan-European market. 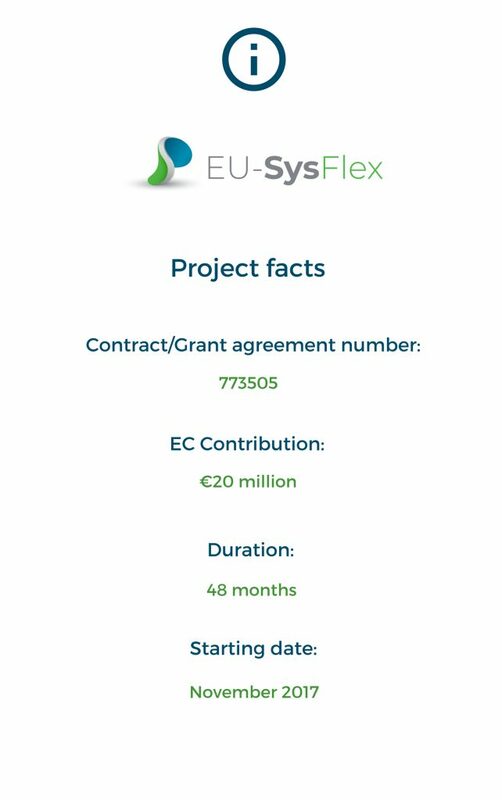 The EU-SysFlex project is funded by the EU framework programme for research and innovation Horizon 2020 under the call H2020-LCE-2016-2017. BRIDGE is an European Commission initiative which unites Horizon 2020 Smart Grid and Energy Storage Projects to create a structured view of cross-cutting issues which are encountered in the demonstration projects and may constitute an obstacle to innovation.